It’s the day before Mother’s Day and Stanley doesn’t know what to get for his mother. So he asks his older siblings to get ideas for presents. However, Stanley’s ideas are not perfect. 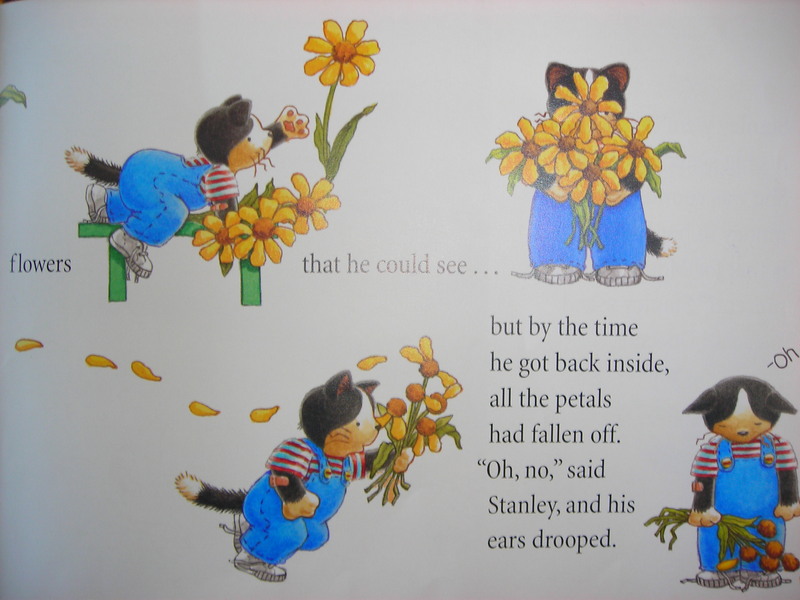 His older brother Rex is giving flowers, so Stanley collects flowers from the garden, but soon all the petals had fallen off. 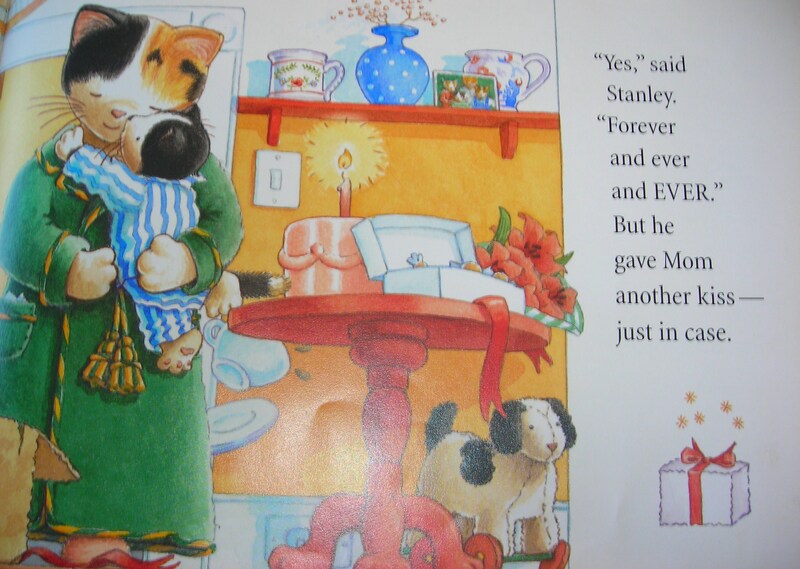 His older sister Flora is baking a Mother’s Day cake, so Stanley creates a mud cake that unfortunately doesn’t stay beautiful. Finally, Stanley has the perfect Mother’s Day idea. 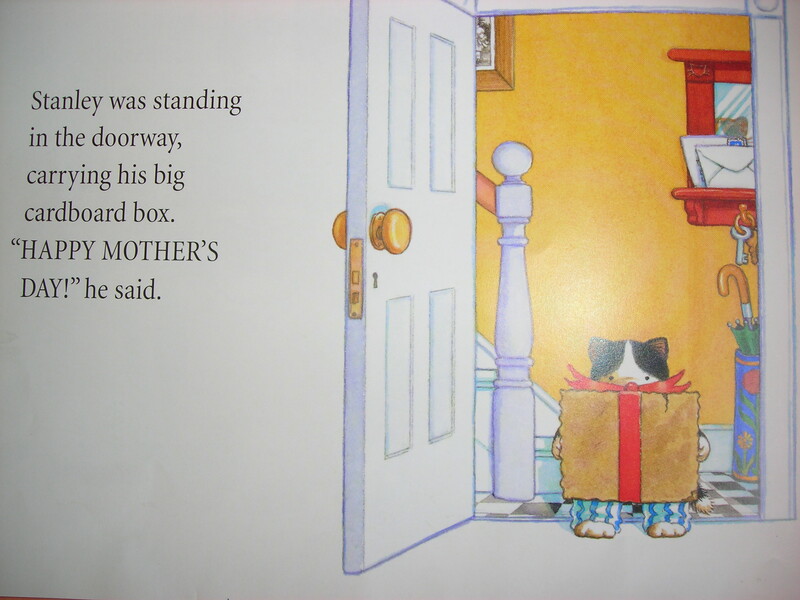 Stanley gives his mother a cardboard box that at first glance looks empty, but Stanley says that the box is filled with kisses. Of course, his mother loves the gift, because boxes of kisses last forever and ever. 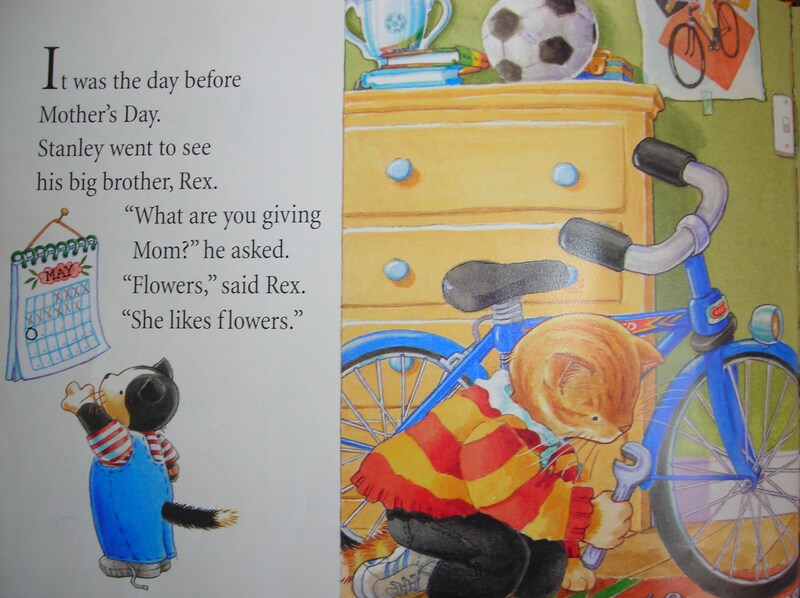 This entry was posted in Ages 4-6, Book Review, Children's Book, Holidays, Picture Book and tagged A Present for Mom, Book Review, children's book, Dana Kubick, Mother's Day, picture book, Vivian French. 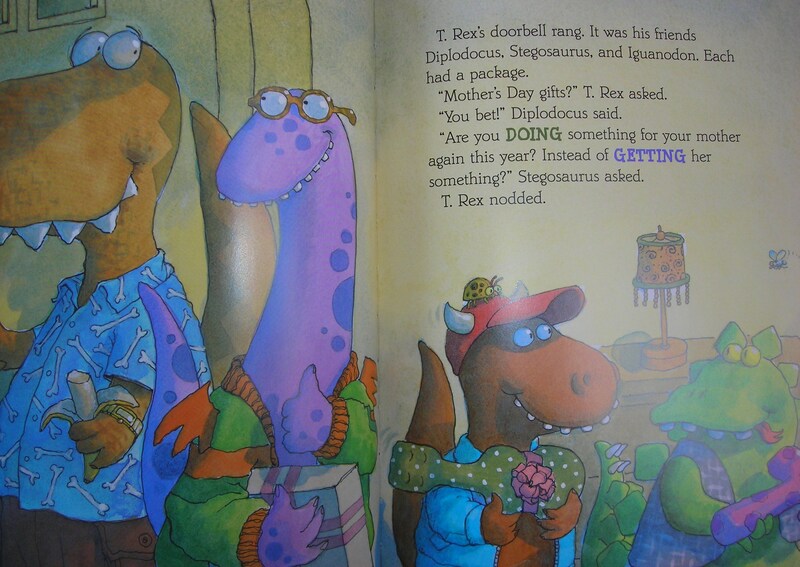 Little T. Rex wants to do more than get his mother something, instead he wants to do something for her. 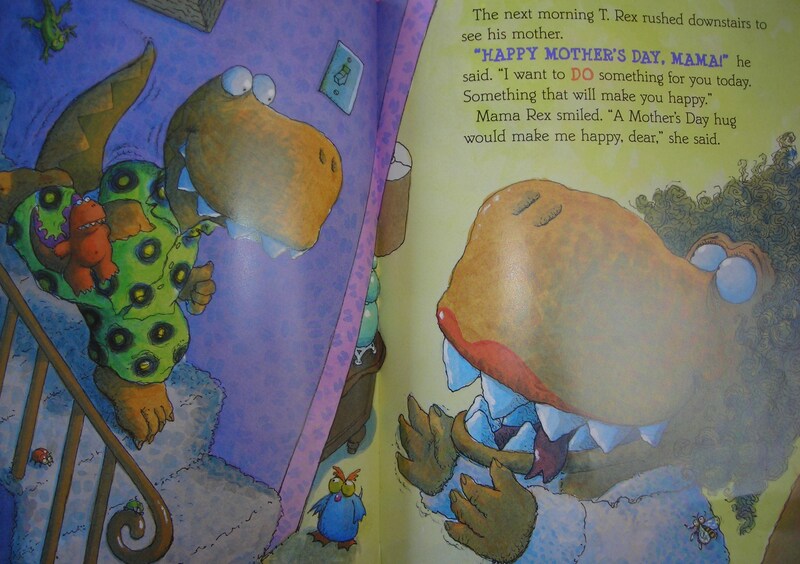 However, on Mother’s Day his Mama Rex says that what will make her most happy is a Mother’s Day hug. T. Rex wants to do more than just a hug. He offers to wallpaper the dining room, but T. Rex and his friends already did that and even put paper over the windows. 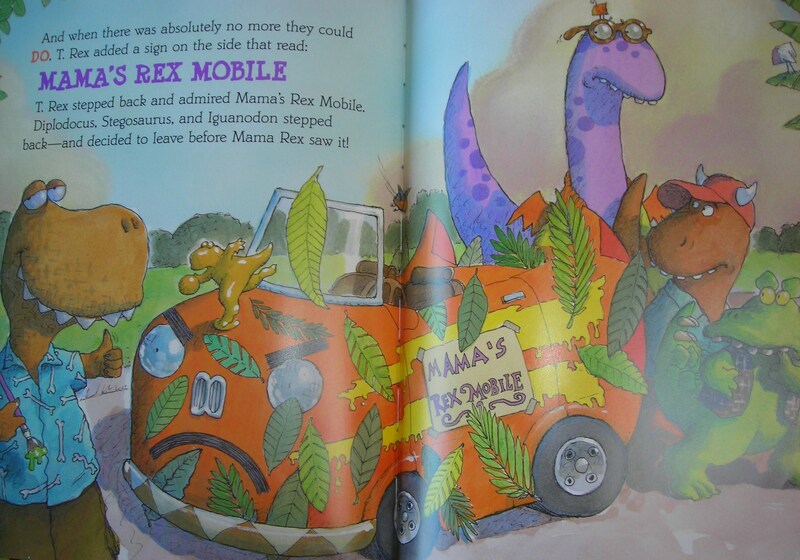 T. Rex with his friends decide to decorate his mother’s car, so she won’t have trouble finding the car in the parking lot. 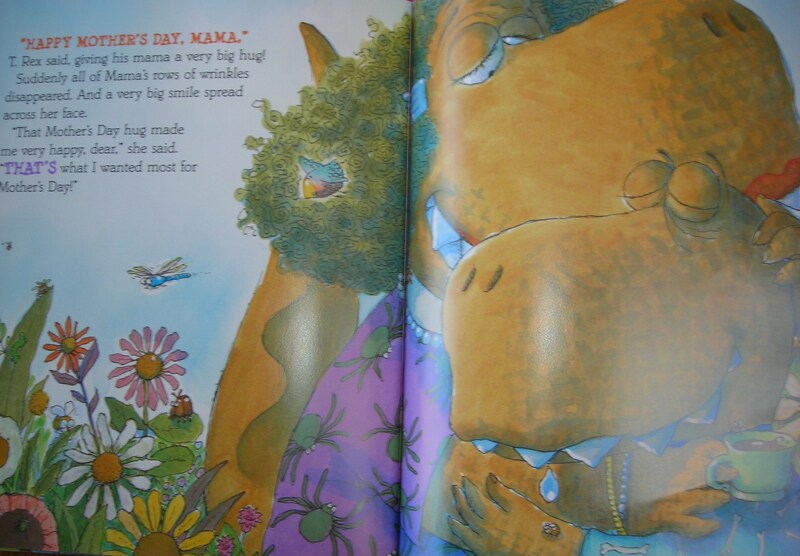 T. Rex gives Mama Rex a big hug, which is exactly what his mother wanted most. Mama Rex is happy that Mother’s Day comes only once a year. If you enjoyed this book, then you should read T.Rex Trick-or-Treats and Here Comes T. Rex Cottontail. 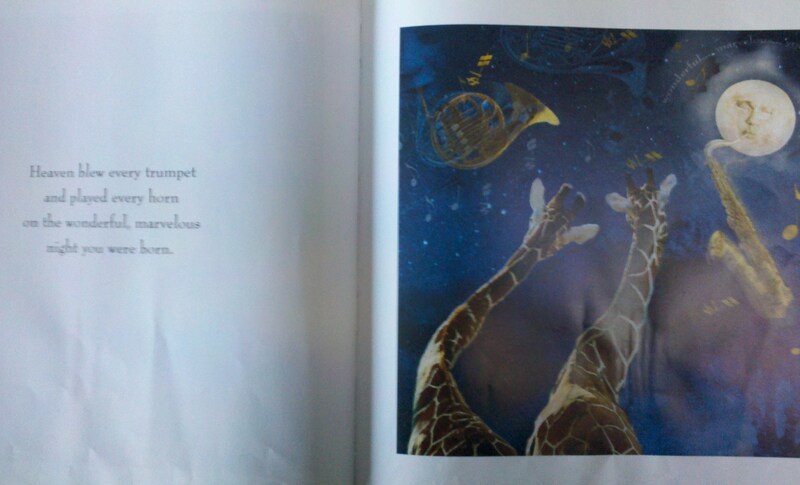 This entry was posted in Ages 4-6, Ages 6-8, Book Review, Children's Book, Holidays, Picture Book and tagged Book Review, children's book, dinosaur, Jack E. Davis, Lois G. Grambling, Mother's Day, picture book. 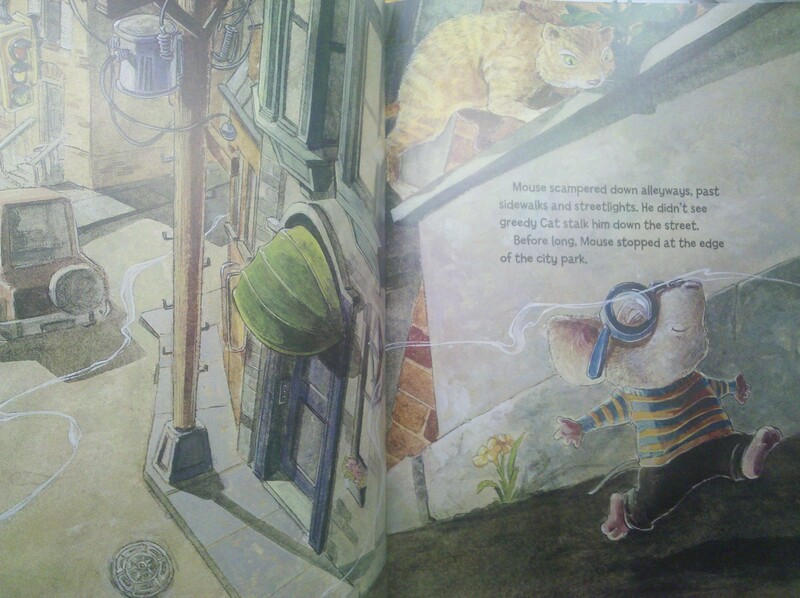 Book Review: Cinco de Mouse-o! Mouse wakes up on the fifth of May to wonderful and delicious spicy smells. Mouse crawled out of his hole to try to find the smells. However, Mouse didn’t notice that Cat was also following him down the street. 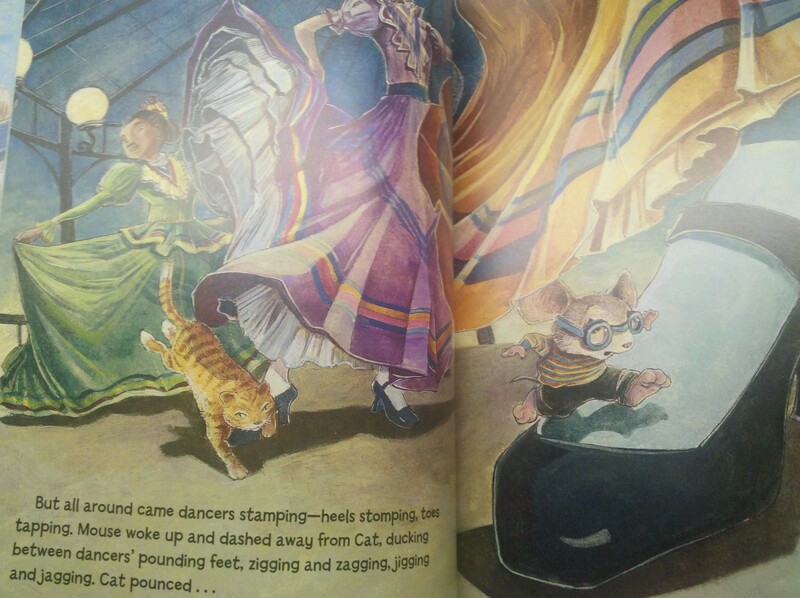 Mouse discovered that there were people eating, dancing, singing, and celebrating Cinco de Mayo. He notices a piñata shaped like a donkey in the neighborhood and wanted it for his fiesta. So, he climbs on the rope carefully like a tightrope walker and he can smell the sweets inside the piñata. However, Mouse flew in the air when the piñata burst opened. He eventually wakes up and everyone is gone including Cat. Mouse found one candy piece and ran home to his hole. 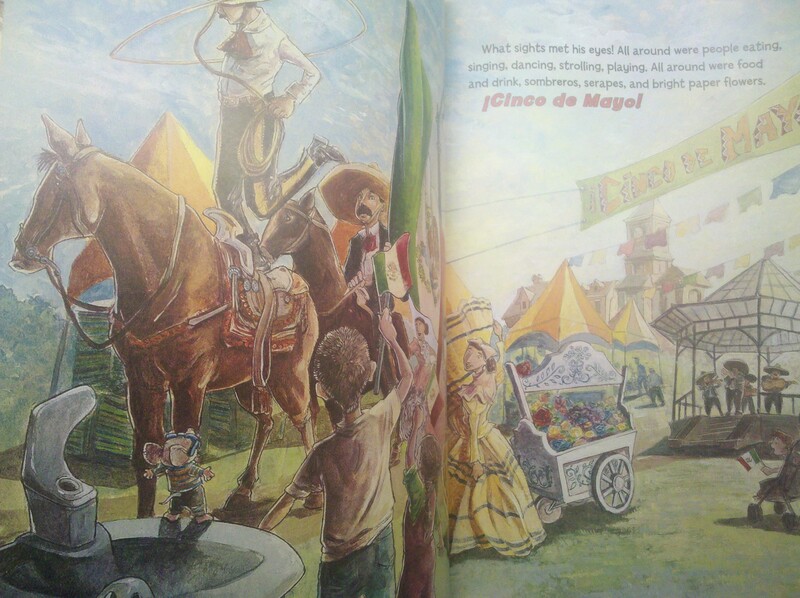 This entry was posted in Ages 4-6, Ages 6-8, Book Review, Children's Book, Holidays, Picture Book and tagged Book Review, children's book, Cinco de Mayo, Cinco de Mouse-o!, Jeffrey Ebbeler, Judy Cox, picture book. The birthday girl has big plans for her birthday party, yet it’s still 5 months, 3 weeks, 2 days, and 8 hours away. She wants it to be the best birthday party that she’s ever had. Her party plans soon become very extravagant. A few items she plans to have at her birthday party are 9,000 pink balloons, the tallest cake in the world, a magician, a parade, camel and elephant rides, and even fireworks. She even believes the President of the United States and the Queen of England will send her birthday cards. After months of planning, her birthday finally arrives but she doesn’t find everything on her list. However, she does discover pink balloons, tons of frosting, and the guests sing so loudly they must cover their ears. Her grand plans may not be at her party, but she’s still having the best birthday party ever. Of course, it’s never too early to start planning for next year. Day 7 Birthday Book Celebration! This entry was posted in Ages 6-8, Book Review, Children's Book, Holidays, Picture Book and tagged birthday, Book Review, children's book, Jennifer Larue Huget, LeUyen Pham, picture book, The Best Birthday Party Ever. Scaredy Squirrel’s birthday is approaching and he decides to throw himself a party. The guest list is very small – just himself. There are many surprises that Scaredy Squirrel thinks will destroy a party which includes clownfish, ants, ponies, porcupines, Bigfoot, and confetti. He keeps a list of exactly what needs to be done so everything runs smoothly at the party and there are no unwelcome surprises. Scaredy Squirrel picks a safe location, practices breathing to blow balloons, and mails an invitation to himself. 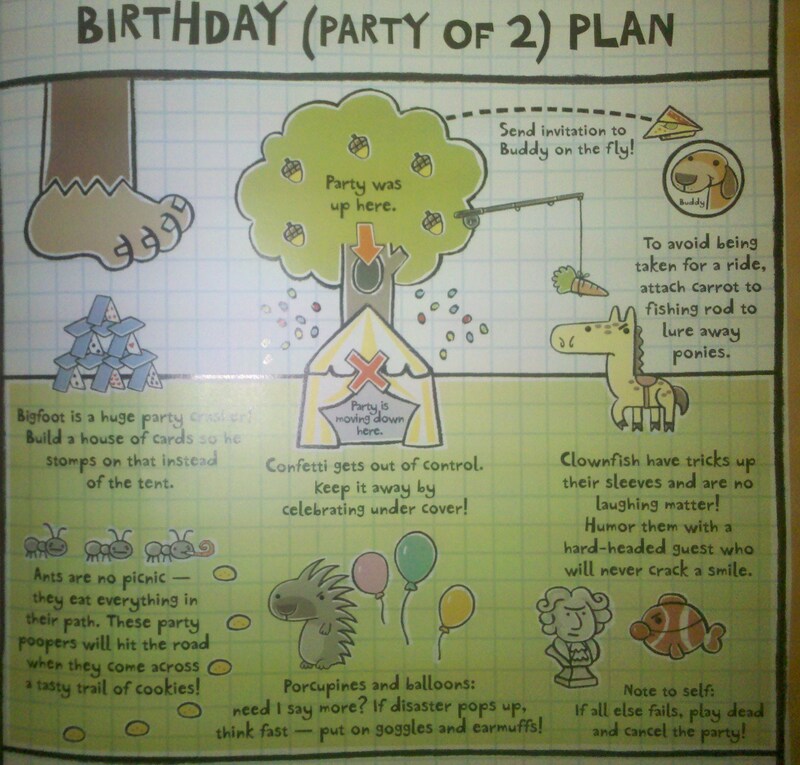 He then decides to invite one guest, so the party plans are revised so no bad surprises happen. Scaredy Squirrel even practices conversations, reviews activities that should be done at a party, and plans the party schedule. He’s most comfortable sitting quietly. However, Scaredy Squirrel is surprised when party animals arrive at his party. After he panics, screams, and finally passes out for a few hours Scaredy Squirrel notices that all the animals are ready for him to blow out the candles. He’s so touched that he decides to plan and invite guests for next year. 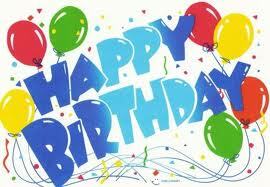 Scaredy Squirrel Has a Birthday Party is the fifth book in a series. Oh, I wish I discovered Scaredy Squirrel sooner because I often feel the same way at parties. Perhaps not as nervous as Scaredy Squirrel, but I’m not a fan of people singing Happy Birthday to me and nobody would ever surprise me with a party. The illustrations are very humorous as the reader sees his party plans. 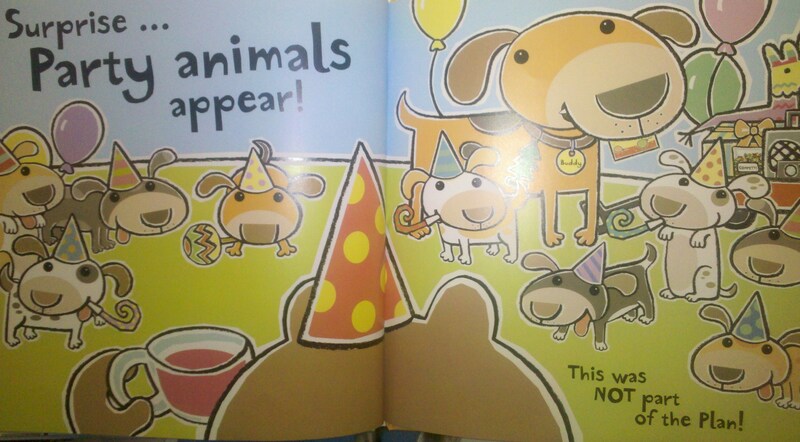 Day 6 Birthday Book Celebration! 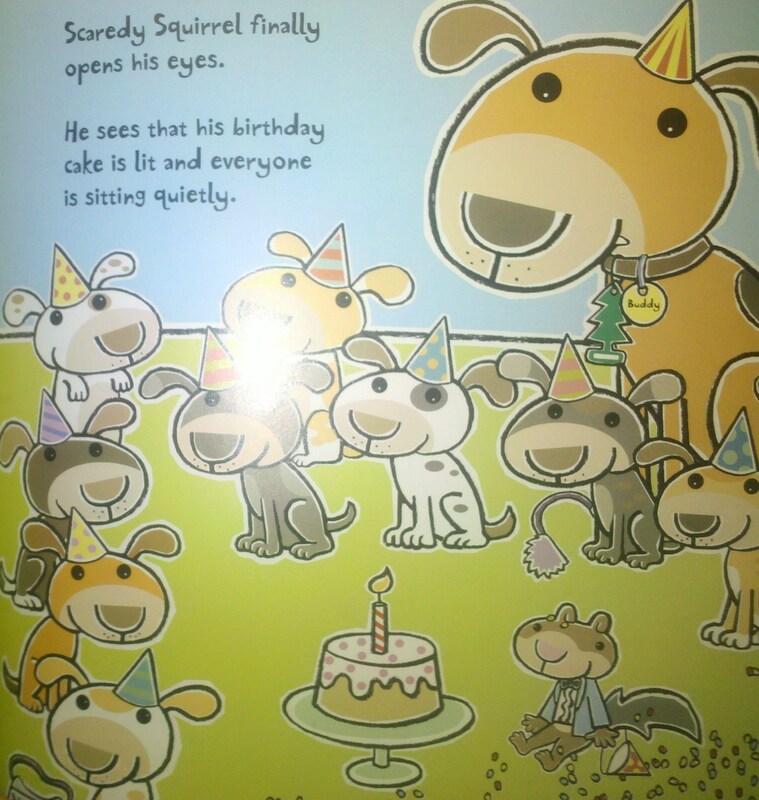 This entry was posted in Ages 6-8, Ages 8-10, Book Review, Children's Book, Holidays, Picture Book and tagged birthday, Book Review, children's book, Mélanie Watt, picture book, Scaredy Squirrel, Scaredy Squirrel has a Birthday Party. 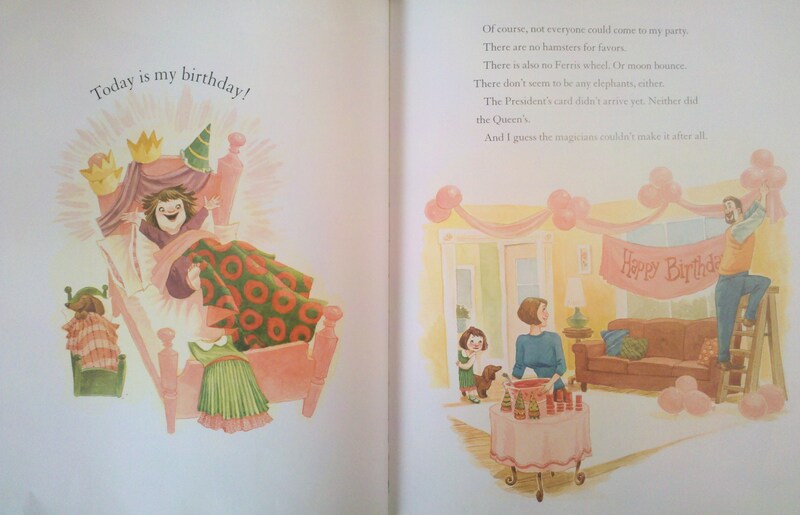 Book Review: Happy Birthday, Monster! Ben is hosting a surprise party for his friend Doris the dragon. Of course, this isn’t your typical party because monsters are on the guest list. 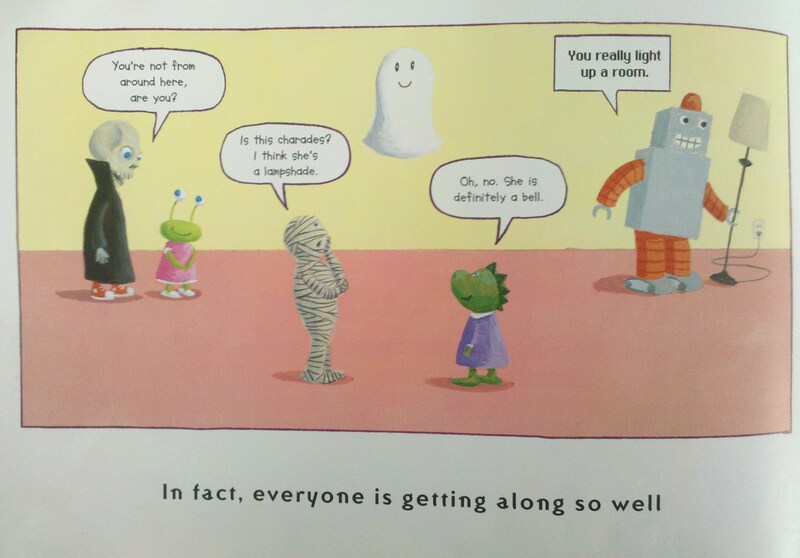 The guests include an alien, ghost, robot, mummy, skeleton, and vampire. 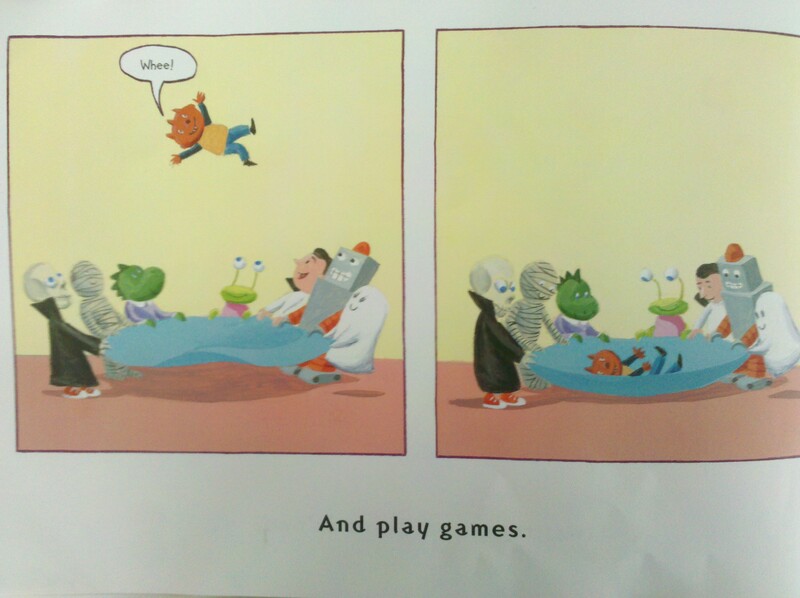 The book is simple, but very humorous since monsters act and talk differently. There’s brief text, but also jokes and conversations between the guests. A few party highlights include: the robot destroys a piñata, the mummy dances the twist, the ghost jump ropes, Ben gets stuck on the ceiling after playing parachute, and everyone runs when the dragon blows out the birthday candles. I think adults will also get a laugh from the jokes, such as Ben asks the robot if he’d like some nuts and the robot’s response: ‘No thank you… robot prefer bolts!’. Happy Birthday, Monster! 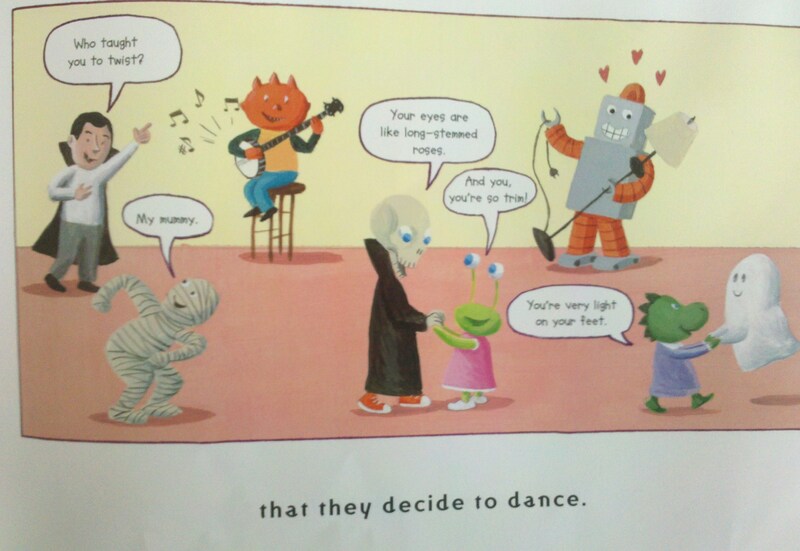 is a cute book that will get laughs and no scares. Day 4 Birthday Book Celebration! 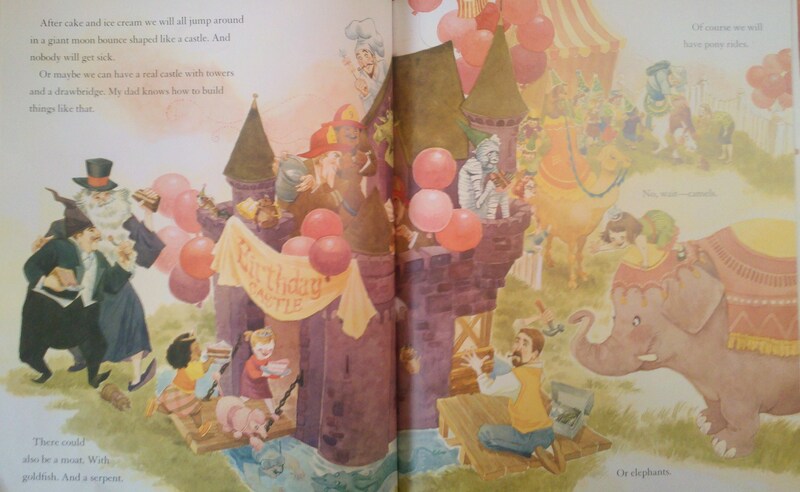 This entry was posted in Ages 4-6, Ages 6-8, Book Review, Children's Book, Holidays, Picture Book and tagged birthday, Book Review, children's book, Happy Birthday Monster!, picture book, Scott Beck. 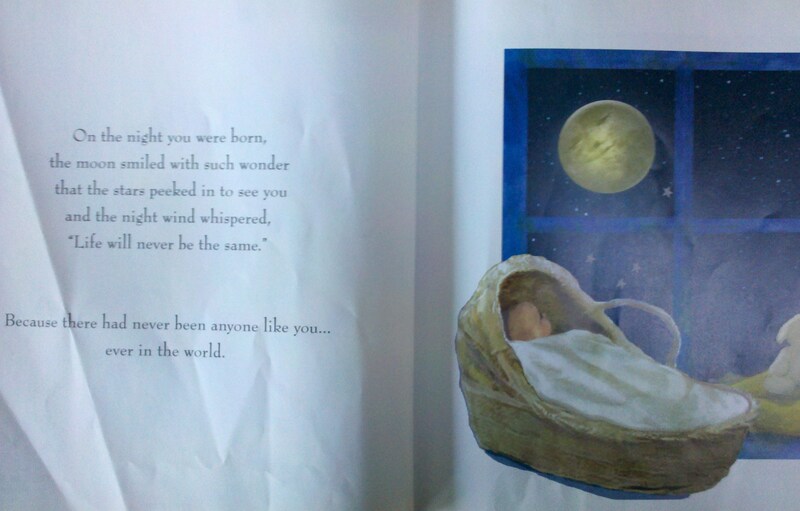 On the night you were born, the moon smiled with such wonder that the stars peeked in to see you and the night wind whispered, “Life will never be the same.” Because there had never been anyone like you…ever in the world. 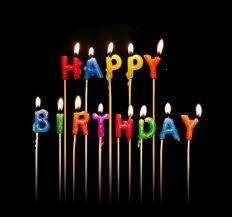 On the Night You Were Born is a sweet melody as it celebrates when you were born into this world. The message throughout the book is that there is only one you and the world will never be the same now that you are here. Musical notes fill each page as the sound of your name travels through all lands. It travels across the ocean, through trees, and past farmlands. When the great news of your birth was heard the panda bears danced, the geese flew home, and the moon stayed up until the morning. 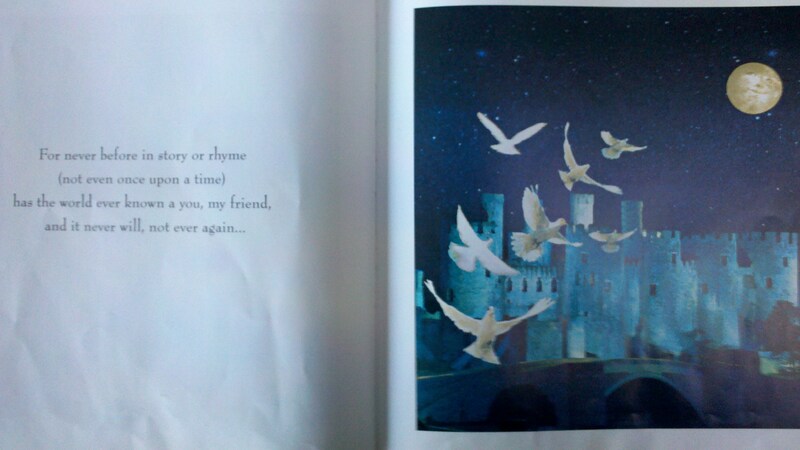 The pictures are beautiful and the words are poetic. Both young and old readers will smile as they imagine how the world changed when they were born. 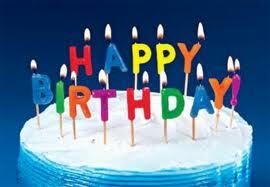 Day 3 Birthday Book Celebration! 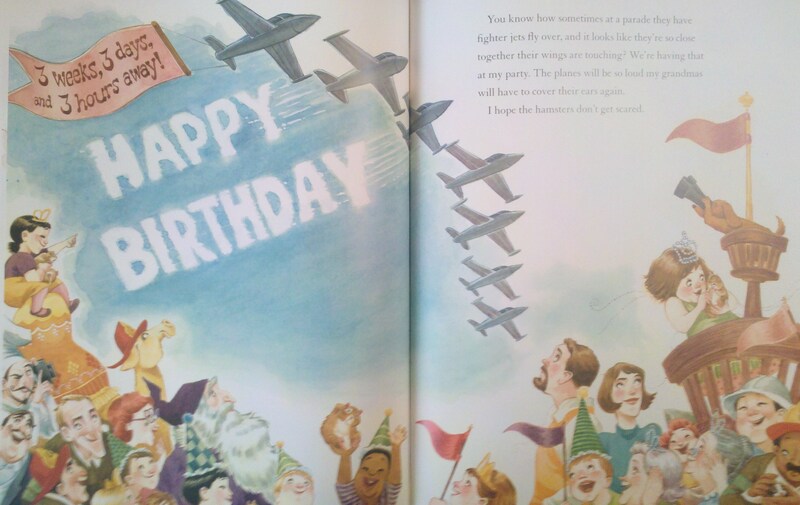 This entry was posted in Ages 4-6, Ages 6-8, Book Review, Children's Book, Holidays, Picture Book and tagged birthday, Book Review, children's book, Nancy Tillman, On the Night You Were Born, picture book.